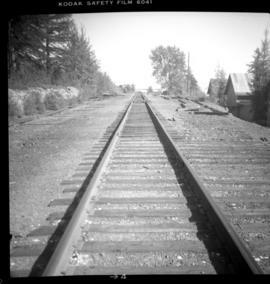 Photograph depicts stationed gauge trackage that was owned privately and laid near a concentrator that connected the CPR Kimberley branch. Visible are various spurs to wharehouses and sheds. 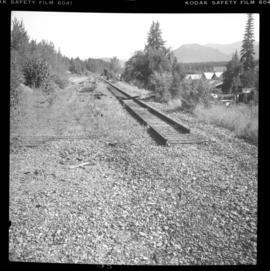 Photograph depicts 40 miles of trackage, of which 90% was located underground. 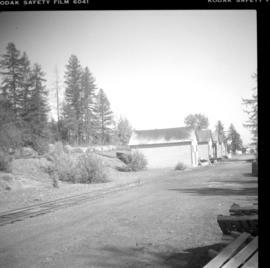 It was owned by the Cominco Mine Railway of the private Sullivan Mine. The surface main line ran from the portal of the mine to a concentrator. 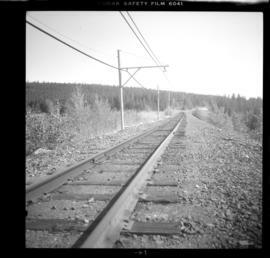 Photograph depicts the surface main line of the Cominco Mine Railway of the private Sullivan Mine. 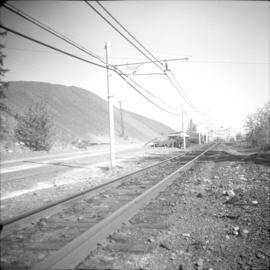 The line ran from the mine's portal to a concentrator. Visible locomotives dated from 1923 to 1952.